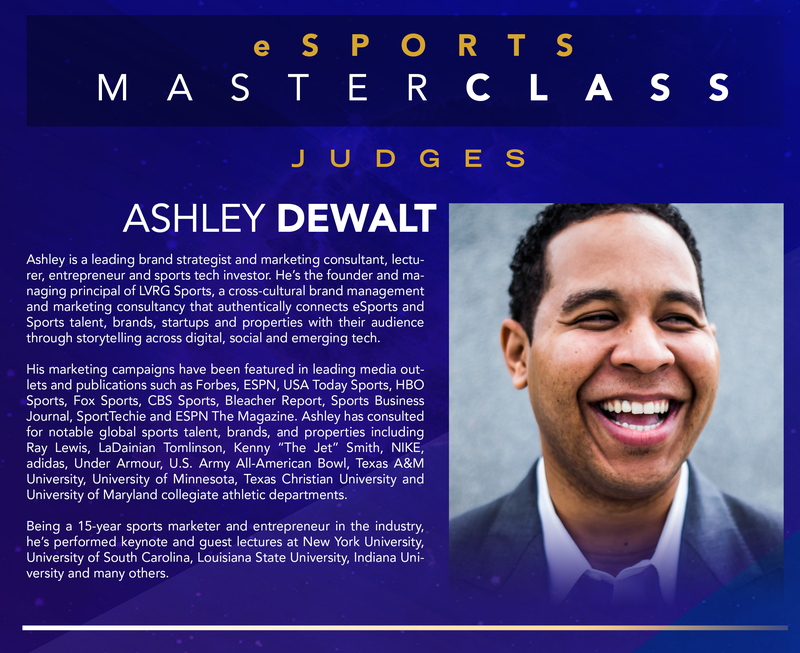 Ashley DeWalt, a sports marketing lecturer at the Valenti School of Communication, recently judged the first-ever esports masterclass at the University of Florida College of Journalism and Communications (UFCJC) in Gainesville, FL. The rise of esports is due to the popularity of multiplayer video games, such as Madden NFL. The esports market is projected to reach $900 million this year according to recent projections by Newzoo. The esports masterclass provided an avenue for students who are interested in the business side of esports to gain experience. Two teams of six students each competed for a chance to land one of the six internships slots at Collegiate Starleague, the world’s first and largest collegiate esports organization, by pitching marketing strategies. UFCJC hosted the event alongside Dr. Williams, CEO and founder of Williams Communications, LLC and Collegiate Starleague.